The Hollow Crown: The War of the Roses gives some of Shakespeare’s least beloved plays a Game of Thrones twist on the way to a bloody Benedict Cumberbatch-centered finale. Civil dissension is a viperous worm that gnaws the bowels of the commonwealth. If Game of Thrones is the current monolith of television, then it’s interesting to see the ways that other TV productions react to it by either embracing or purposefully rejecting the things that bring it critical acclaim and huge ratings. Even 400 years after they were originally written, it seems that modern adaptations of William Shakespeare’s plays cannot escape Thrones’ pull. Thankfully, that is not a complaint. The second cycle of the BBC’s The Hollow Crown finally hits American screens this week, months after its original airing across the pond, and you should make a point to watch them. If you missed 2012’s original adaptation of the Henriad plays featuring Ben Whishaw, Jeremy Irons, and Tom Hiddleston as Richard II, Henry IV, and Henry V respectively, seek them out. Seriously, I’ll wait. They are fantastic. The current cycle moves both backwards and forwards in time from those original plays to give us Shakespeare’s account of the War of the Roses in Henry VI, Parts 1-3 and Richard III. Chronologically, these plays follow the Henriad, but Shakespeare actually wrote them first, and they show (especially the Henry VI plays) the growing pains of a not-yet-fully matured playwright. That can make the Henry VI plays problematic for adaptation. Henry VI, Part 1 especially is considered among the Bard’s weakest plays. Still, there was no need to worry, for in the producers of The Hollow Crown we trust. This team of veterans from the London theater scene have made wise decisions about how to make the Henry VI plays palatable to modern audience. First and foremost, they’ve combined the three parts of Henry VI into two, succinct parts for television, leaving hours of Shakespeare’s original story on the cutting room floor. Fear not — they won’t be missed except, perhaps, by scholars. The Hollow Crown’s producers say their intent with the War of the Roses cycle is to show how a monster like Richard III could ever come to the throne, and their versions of the Henry VI plays are sculpted to that end. The “Henry VI, Part 1” production opens with a sweeping helicopter shot of the cliffs of Dover while a lone rider makes his way along the hillside, jumping a row of mixed white and red roses as he goes. How apropos. It’s grander than anything from the first cycle, and indicative of an increased production value. Director Dominic Cooke and his team have focused their “Henry VI, Part 1” on the lead up to the War of the Roses, attempting to explain how two rival factions of the royal Plantagenet House came to armed conflict under the watch of a weak-willed monarch. Tom Sturridge (Pirate Radio) plays the titular Henry VI, an easily manipulated and religiously-focused king who asks his feuding court to just get along. He’s basically the 15th Century version of a hippie. Sturridge is fine in a largely thankless role. Sure, his character gets his name in the title, but he’s infinitely less interesting than the group of nobles fighting behind his back. Key among those quarreling nobles is Richard, Duke of York (Adrian Dunbar), who secretly harbors his own claim to England’s throne and begins to quietly sway members of Henry’s court to his side. It’s actually Shakespeare’s portrayal of nobles picking white Yorkist roses or red Lancaster roses to show their support for the different factions that gave the real life historical conflict its popular moniker, and that temple garden scene holds a prominent place in Cooke’s adaptation. It sets the stage for the 90 minutes of backstabbing and political machinations to follow. 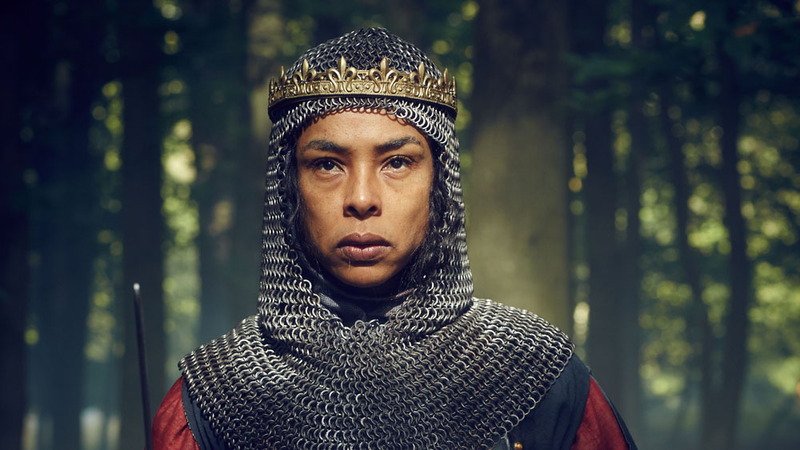 Henry VI, Part 1 isn’t one of Shakespeare’s most interesting plays, but by shifting the adaptation’s focus onto political maneuverings, battles, and illicit affairs, Cooke and his team make the claim that it can hold the attention of a modern audience. Of particular note is Henry’s quest to retake his lands lost in France. 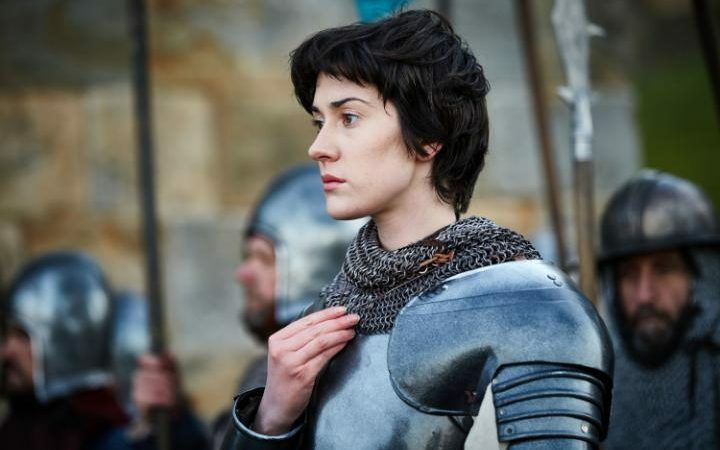 Joan la Pucelle/Joan of Arc (Laura Frances-Morgan) has, mercifully, been saved from the cutting room floor, and Cooke’s film highlights her position as a fierce military leader. Her speech to her soldiers, intriguingly cross-cut with images of French and English troops marching to the battlefield, are revelatory. Shakespeare could have never imagined modern film editing, but it works perfectly here. 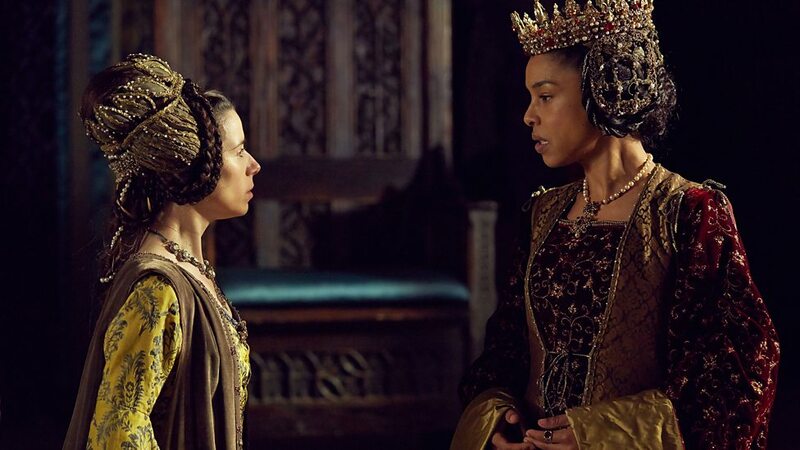 Jane’s battlefield presence and religious piety are an obvious contrast to Henry’s queen, Margaret (Sophie Okonedo), who does her fighting in the royal court with backroom maneuvering. She’s a prototypical Lady Macbeth before Shakespeare had even invented the term. So does the streamlining of Somerset’s character, merging his storyline with Suffolk’s from the play to elevate his character as a villain. 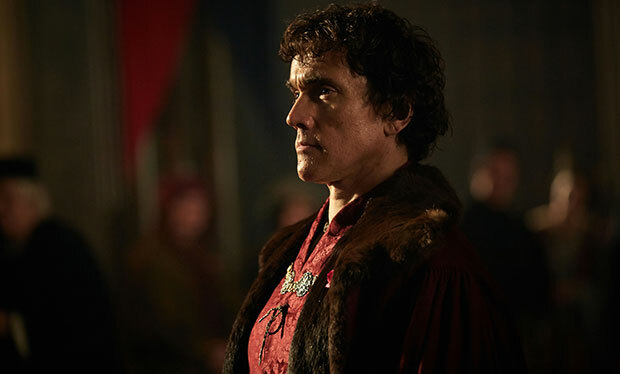 Ben Miles (Coupling) is enchanting as the Machiavellian Earl as he delays sending his cavalry into battle in order to enhance Yorkist casualties, and removes obstacles to his influence at court. The War of the Roses is famously one of George R.R. Martin’s key influences for A Song of Ice and Fire, and this version of Somerset is a clear Peter Baelish analogue. 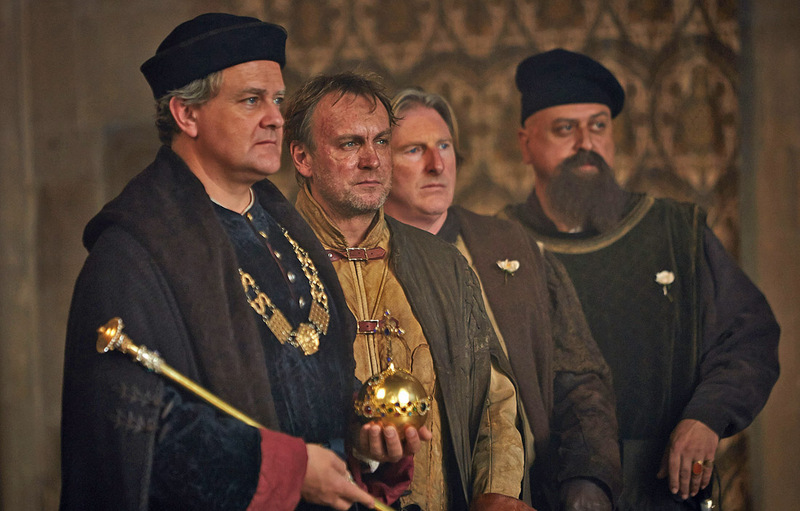 So is Hugh Bonneville’s (Downton Abbey) Gloucester an influence on Ned Stark, being the king’s one loyal advisor, and the one noble putting the fate of the kingdom above all else. By placing the first half of Henry VI, Part 2 at the end of their “Henry VI, Part 1” production, Cooper’s film showcases Gloucester’s entire story, ending with his dismissal from court and eventual murder. The move transforms the first half of the Henry VI saga into the story Gloucester’s demise, and the kingdom’s fracturing in the absence of Henry’s only true ally. Cooper again uses cross-cutting to showcase two treasons as the scene repeatedly shifts from the painful cries of Gloucester’s murder to the sensual moans of Somerset’s seduction of Queen Margaret. Again, it’s more Game of Thrones than Shakespeare, but you can’t deny that sexing up the play works. “Henry VI, Part 1” ends with Richard, Duke of York stating his claim to the throne and proclaiming open rebellion against the king. He then goes home to rally his family, calling his children to him. It’s only then, in the closing seconds, that a black, hunchbacked figure crawls from the shadows and envelops the camera in blackness. It’s his younger son, the man who will become Richard III in time. 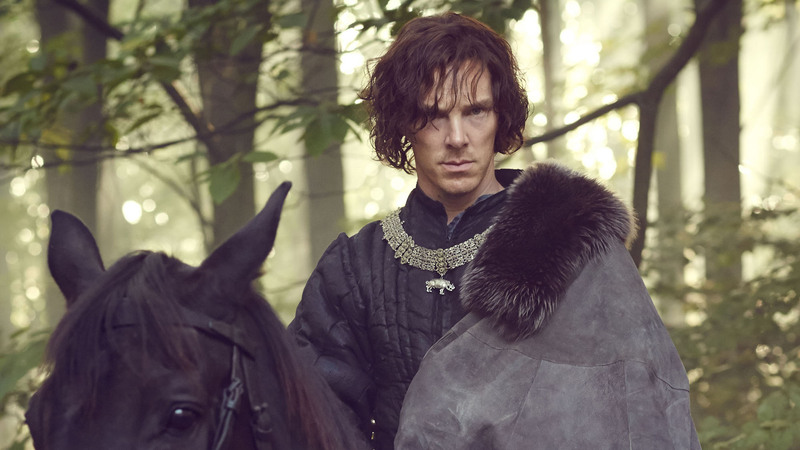 Richard III scholars had reportedly feared that an actor of Cumberbatch’s prowess would only reinforce what they see as Shakespeare’s historically unjust representation of the 15th century monarch, viewing the king’s “logical” action as being twisted into overt villainy via Shakespeare’s pen. Indeed, they should have been scared. Everything they feared has come to pass in Cumberbatch’s performance of the Machiavellian monarch. 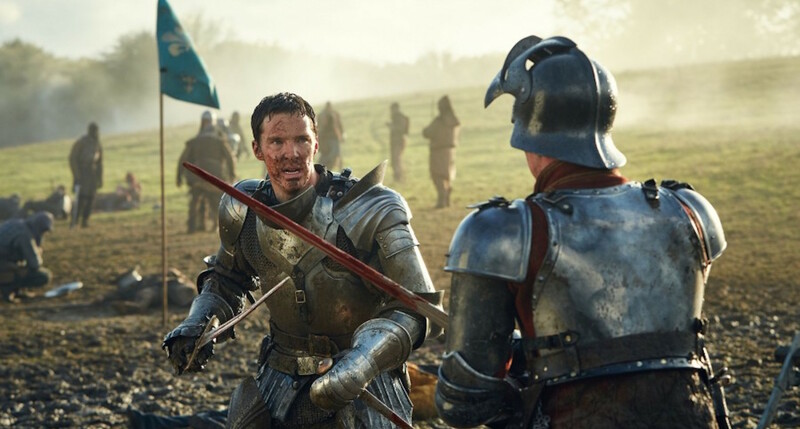 From his first moments on screen in the wake of “Henry VI, Part 2’s” battle of St. Albans, Cumberbatch completely owns the screen as the hunchbacked Richard plots and maneuvers in the background while the other characters tear England to pieces. Cumberbatch and Cooke use the camera as Richard’s unseen confessor with the character delivering his chilling monologues and asides directly to the audience. He’s the only character clever enough to play the long game, content to let his family and enemies burn England to the ground if he can one day be king of the ashes. “Part 2” gives Stanley Townsend a chance to shine was the frequently side-switching Warwick, and even Tom Sturridge finally gets his due, excelling in Henry VI’s Lear-like moments of madness. The doomed king gets the tragic Shakespearean treatment, becoming the only person to look past Richard’s physical weaknesses and prophesize his future villainy with his dying breath after Richard stabs him to death in the Tower of London. Still, as effective as these productions of the “Henry VI” plays are, they remain an obvious appetizer for Richard III. When the War of the Roses finally reaches its concluding installment, the table has been set for 130 minutes of Benedict Cumberbatch at his Smaug-iest, chewing Shakespeare’s dialogue with villainous glee. Perhaps he overdoes it a bit, but there’s no denying how fun it is to see Cumberbatch work his magic while proclaiming the winter of our discontent and offering up his kingdom for a horse and taking out anyone who stands in his way whether they be nobles, holy men, family members, or even children. If the first series of The Hollow Crown had one drawback, it was the previously noted limited budget that resulted in Agincourt looking like a battle between 35 people. “The War of the Roses” goes far grander for Bosworth Field, concluding the series with appropriate heft. These films are much more of an episodic series than the first Hollow Crown cycle, and they rely on each other to tell the full story of the War of the Roses rather than standing on their own as individual films. Sure, Richard III is the big title of the group, but that installment wouldn’t have the same heft without the plays that come before it. It pays to understand who the Lancasters and Yorks are, and why their affairs are such a tangled web. It’s not merely a war between their respective houses, but entire philosophies and attitudes. If you’ve followed The Hollow Crown from its inception, it’s even better to understand how a mere child, the last descendent of John of Gaunt, could be so meaningful at the end of Richard III, returning the crown of England to where it sat all the way back in Richard II. There’s no denying that these plays comprising this cycle of The Hollow Crown aren’t as interesting as rest of the Henriad, but thanks to Cooke and his team’s refocusing, there’s still plenty worth seeing. Benedict Cumberbatch alone would be worth the price of admission, but the performances are uniformly great. 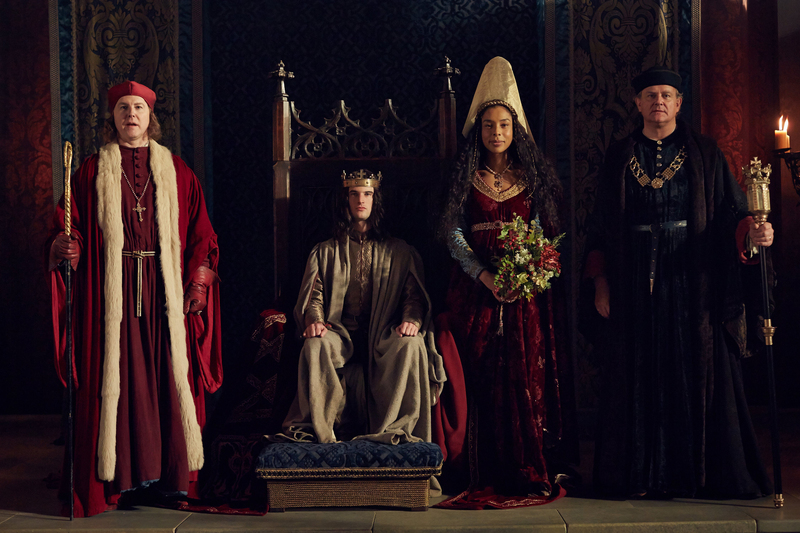 The holiday season is a slow time for television, so make time in your schedule for The Hollow Crown. You won’t be disappointed.